HOODIA GORDONII - 4 oz. You have tried all the rest. Now try the best! This is the herb for weight loss. If you are serious about weight loss, now you have the support to do it. The herb Hoodia may be the answer you have been waiting for. It is a small "cactus looking" plant two to three inches tall. The plant comes from the desert of South Africa where conditions are harsh, at best. The plants, the people and the animals there are hardy resourceful survivors. It is the perfect home for the plant Hoodia. People who live there are known to chase a rain cloud for miles just to get a drink of water. They have learned many skills to survive and they know what to do when they must go on a long trip to find food and shelter. Enter the herb Hoodia. When they take the herb it tells the body to use its resources and not spend its time being hungry for food. You don't have to live where food is scarce to take the herb. If you decide to take it you can choose if you want to eat or not. Some people say ten drops at a time, as needed, is enough. Other people say they need as much as one teaspoon three or four times per day to keep from getting hungry. Hoodia is not known to have harmful side effects. You might say it has been "field tested" for hundreds of years without a problem! Make sure you get the real plant when you buy a product labeled, "Hoodia." There are a least a dozen different kinds of this little "cactus-like" plant and only one of these types is the highest quality. It is known as Hoodia gordonii. The world's supply of this herb is limited, therefore making it hard to locate and very costly. After all, it only grows in the desert. This particular plant is regulated and only so much of it can be collected and sold. This ensures that the herb will not be over collected and be available for future generations. This is why it is really expensive. But, if it works for you then is it really expensive? Only you can say. 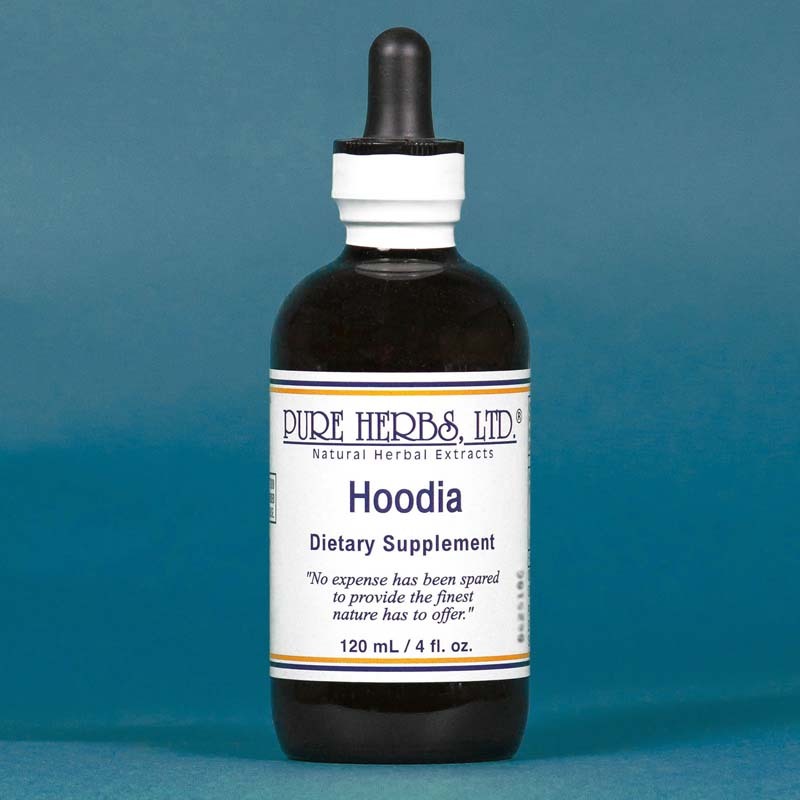 Our Hoodia is put into a liquid form so it goes to work right away. Oh yes, when you taste our liquid Hoodia you will see what the genuine weight loss Hoodia really tastes like. We invite you to compare its taste and effectiveness with anything else you have used that calls itself Hoodia. Go for it! Dosage: 10 drops to 1 teaspoon as needed.